The very birth of Google and what set it apart from other search engines at the time was the original PageRank algorithm which analyzed links to a given web page to determine roughly how important the page was. The underlying assumption was that more important websites were likely to receive more links from other websites. Today Google’s algorithm is even more sophisticated in this analysis. Contrary to what some are saying, links still matter, and this is clear when you analyze search engine results pages. Besides, on some level, Google will most likely always rely on links to analyze the value of a website. Sure, there are over 200 ranking signals, but to say that link building isn’t important, as some suggest, is a bad idea. Acquiring links can happen naturally as you create great content, but for a small law firm, those links don’t always just roll in, even when you have great content. It also takes some elbow grease to get links. Here are ten practical tips you can use right away in your link building strategy. Your own relationships and connections are the first places you should start. You just may be friends with, or have a business connection to, someone with a local website. Once you identify any of those connections, see if there might be an opportunity for a link. For example, if you both have a blog, you could highlight each others’ services and link to each others’ websites. Be careful not to engage in “link exchange” with random websites or you will find yourself violating Google’s link schemes guideline. Links obtained by joining your local chamber are still worthwhile. Even beyond the link, there are opportunities to bring in direct traffic by being in their directory, as well as opportunities for networking with other local businesses with websites! This relationship building can lead to additional links. There are endless causes to donate to. Find something you care about and support it! One key here is to find local organizations that have a website and a donor page with links. Try this advanced Google search to find potential partners: intitle:”our donors” [city name]. You can also just change your location in Google’s search settings to whatever city you are targeting and then perform the search without the city modifier. Keep an eye out for stray results, though; this isn’t a perfect search. Check potential pages to see if they include links to their donors’ websites. There are many high-quality local websites that will allow guest blogging. Don’t assume that just because they don’t have a “Write for us” page or a clear call for writers, that they don’t accept guest bloggers. Reach out and ask! You may just find that they are open to the idea, as long as they are confident that you are going to actually provide something of value to their readers. Think of a few topics and search their blog to make sure it hasn’t already been covered. Pro Tip: Don’t mention linking back to your website: through the process you will find out what their linking policy is. Even a mention of your name or firm without a link is a great thing to get from a local site! If you can get a link, great, but don’t focus on it or you might scare them away. The exposure on a local blog will come with great indirect benefits, even additional links to your other content. Providing value to their website should be your first priority. This really should be listed as #1! This is where the rubber hits the road, as they say. This is where you can break miles ahead of the pack. Creating something with local focus that will attract attention and links can be difficult, but with research, creativity and perseverance, you can do it. Pro Tip: You don’t always need to focus on something legal when creating local content. Your focus should be on creating something of unique value to locals or people searching about the area. If you decide that a comprehensive, easy-to-read list of all the restaurants in the city that serve gluten-free dishes is what you want to start with, that is great! If this will fill a need in the city that isn’t currently being filled, you have a good chance of attracting links, social shares, etc. Let’s look at an example of how we will sometimes approach content brainstorming. First, it is good to pick your target audience. Let’s say we want to target prospective law students who might take a useful piece of content and share it on a social platform or who might have a blog and link to the resource. We also know that in targeting this group, we will hit other law-related websites that come across our resource and may find it useful. Next, we need to decide what content to create. Let’s start our brainstorming search. First, I decided to look for simple lists of law schools in a particular state. Maybe a well-curated list like this could be of value. I did a search for “California law schools.” First on the list, I noticed a result coming from Alllaw.com. I took a look at the page and it is simply a list of links to California Law School websites, the Admissions page, and if applicable, the schools’ online library page. Next, I want to get a feel for whether this page has seen some engagement in the form of backlinks (links from other websites). I jumped on over to the Moz Open Site Explorer tool and found that there were 9 backlinks coming from 5 domains. Not really the engagement I’m looking for. It appears that this page is performing so well mostly due to the high authority of the alllaw.com domain. I need an example with a little more love coming into it. So I hopped on over to another state and searched for “Texas law schools.” I found the same basic thing, an alllaw.com page with a list of law schools in Texas just like the one I found for California. I decided to think of a different angle. What about the “cost of law school?” That could be a good search. Sure enough, the first result is a Law School Cost Calculator. That sounds promising. For this one I decided to use a different link exploring tool so I headed on over to Majestic.com to see what that turned up. I found 68 backlinks coming from 17 domains. Not bad. Perhaps I can do a little more research, look at all the ways people search to find out about law school costs, and then create an even better page that will help those looking into this topic. Yes, of course, it is going to take a bit of time to put all the data together, especially if we want to create some sort of calculator, but it will be well worth the effort! Once we’ve built our new page, we’ll go promote it via social channels, blogs, our website, perhaps some paid media, or other methods. We can also approach some of the sites linking to the other web page and calculator we found and recommend our new resource. This is a good place to check. Sometimes alumni pages and/or state bar profile pages will allow you to link to your website and include your firm name and info. These are great citations and links to acquire and are pretty easy to get, if available. Scraping competitor links is a great place to find additional link opportunities. There are many tools out there for accomplishing this, but our favorites are the two already mentioned in this article: Majestic and Open Site Explorer. Another great tool is ahrefs. This takes a bit of patience, but combing through these link profiles usually always turns up some ideas. Don’t stop with just your own competitors locally; you can go find attorneys in other cities who consistently show up in the top results and scrape their link profiles for general link ideas. There are some good attorney directories to consider listing your firm in. We recommend claiming or filling out the basic free listing in Avvo, Justia, and Martindale for starters. Nolo also has a listing service, although it is a paid service. There are a ton of “legal directories” out there, but proceed with caution. Don’t just put yourself in any directory. Do they have substantial quality content? What is the “site authority” as stated by Open Site Explorer? What type of websites are linking to this site? Create a new scholarship. For example, you could target a statewide or national audience. You could pick undergraduates or law students. A key point here is that you should be committed to doing this for the students and doing it each year, even if the links weren’t going to help you. Right now, .edu links will certainly be valuable, but Google could start to devalue these links because so many people are offering scholarships as a way to build links. If you are committed to it, simply for the good it does students, you won’t be disappointed if in the future the links don’t bring as much value as they once did. Backlinks aren’t the only benefit of offering a scholarship. Pro Tip: Don’t rely on this as your only link building strategy, as if it is some sort of SEO silver bullet. When used in conjunction with all the other methods above, it can be a good thing, but just as variety is the spice of life, it is also the spice of SEO as well! 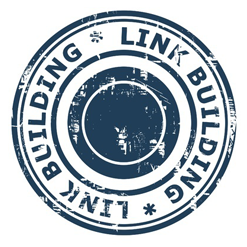 If you have questions about link building, we’ll be happy to answer them! Just head over to our Contact Us page and we’ll be glad to help.